We've had a really busy weekend and I am dog-tired. So, instead of writing about the weekend, I think I will write about my shoes. Because it's my blog and I'll navel-gaze at my feet if I want to. 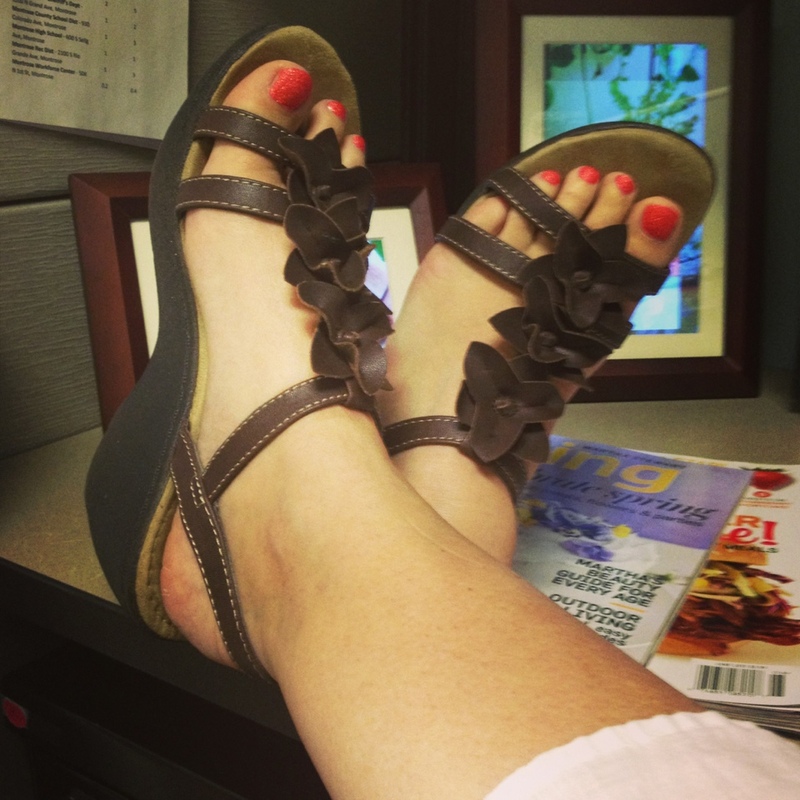 These are super-cute and more comfortable than any other pair of flat sandals that I own. The bling always attracts attention so I like to wear them when I have a big zit on my chin; bling counteracts zits. You heard it here, first. These are my second-favorite pair of flat sandals. They are fairly comfortable, with the exception being a pulling sensation that I get on my right big toe when I wear them. Because they are so cute, I tend to overlook that slight imperfection. You would, too. You didn't think I would leave you without showing at least one pair of heels, did you? 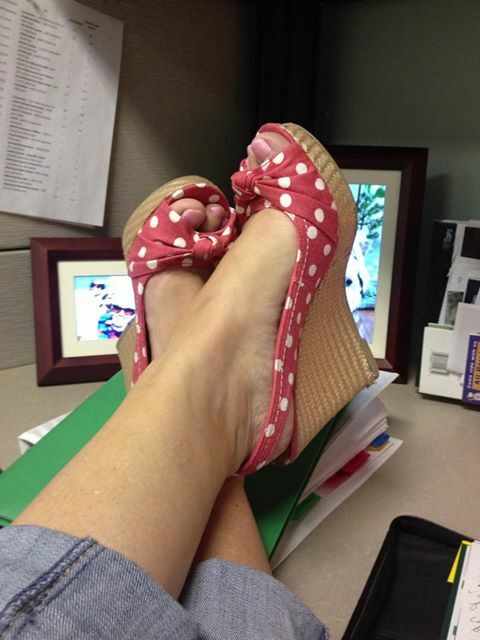 Wedges tend to be my go-to footwear for the summer and these are so comfortable, they appear regularly in the rotation. I wore these bad boys to work on Friday. Unfortunately, on Friday, my co-worker and I had to track down and apprehend a real bad boy. The shoes were stylish enough for the stakeout, but, I'm really glad the kid didn't run. If he had, I would have had a better chance of hitting him in the back of the head with the shoe as he ran away than I would have had of catching him on a run. Anyway, I didn't wear any of these shoes this weekend; I was too busy for cute shoes.